I wake up and my lips are flecked with dried blood. At 4,600M, my nose is blocked with volcanic ash and the air is painfully thin. It’s 11:07pm and the full moon casts a silver glow across Barafu Campsite. 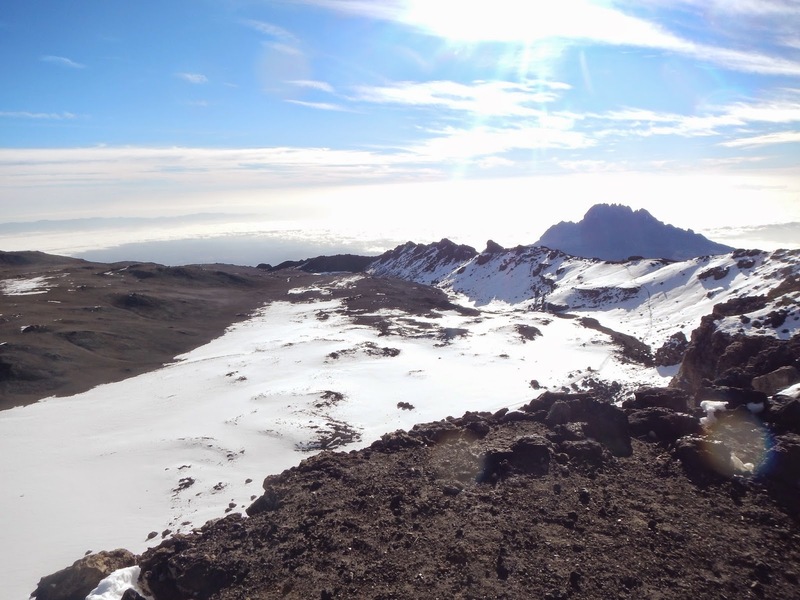 Today marks our summit attempt of Kilimanjaro. I bury my face into my jacket to retain warmth. It’s 1,295M up to the summit and it is a slow and winding route. I’ve never worn so many layers in my life, yet the cold seeps through to my skin. My limbs feel stiff and there is a gentle hush as we walk, our bodies quiver with the cold and the altitude snatches away my ability to process thoughts quickly. The walk is cloaked in darkness, making the trek feel gruelling and timeless. “Your-shoe-lace-is-undone…” wheezes a fellow trekker behind me after a number of hours. I stop. Bereft of co-ordination, I falter and shake in an attempt to carry out the simple task I am presented with. Florence steadies me with a firm grip. He ties the shoelace for me whilst the group continue ahead of me, disappearing into the darkness. I have no concept of time as I walk on. Separated from the group, I follow Florence alone and I start to sob, breathing in ragged air that felt too raw to process. I could no longer be quietly defiant. Overcome with waves of emotion, I cry whilst I trek, feeling defeated and disappointed in myself for falling behind. Florence turns, whispering ‘Never give in’ as he reassures me not to cry. I quietly beg for the night to end. As we climb, a brilliant streak of orange pours out of the sun and across the horizon. 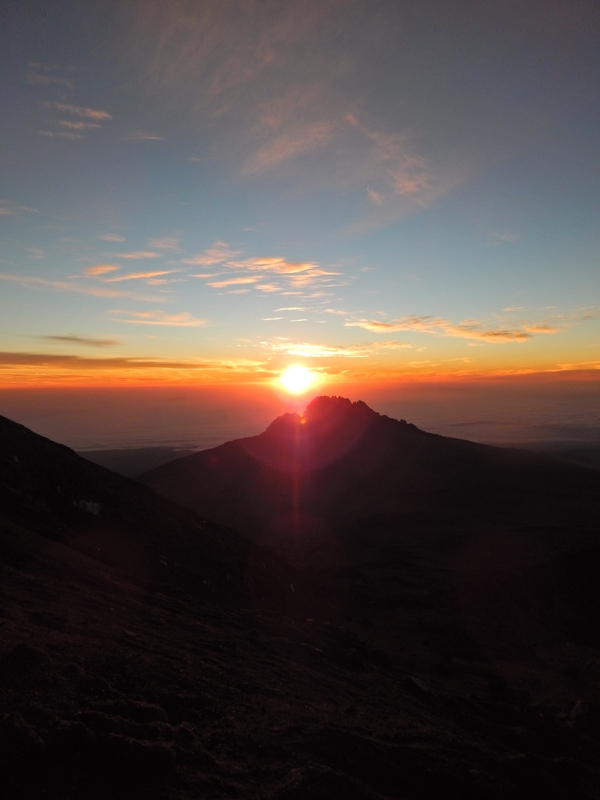 Dawn breaks as I reached Stella Point, bringing warmth and soft rays, lighting the crater of Kilimanjaro like a crown. I spot my group huddled together with tea and I feel a rush of affection towards them. We hug and take in the sight of phantom-white glaciers, ice fields and the jagged pinnacles of Mt Mawenzi opposite us. 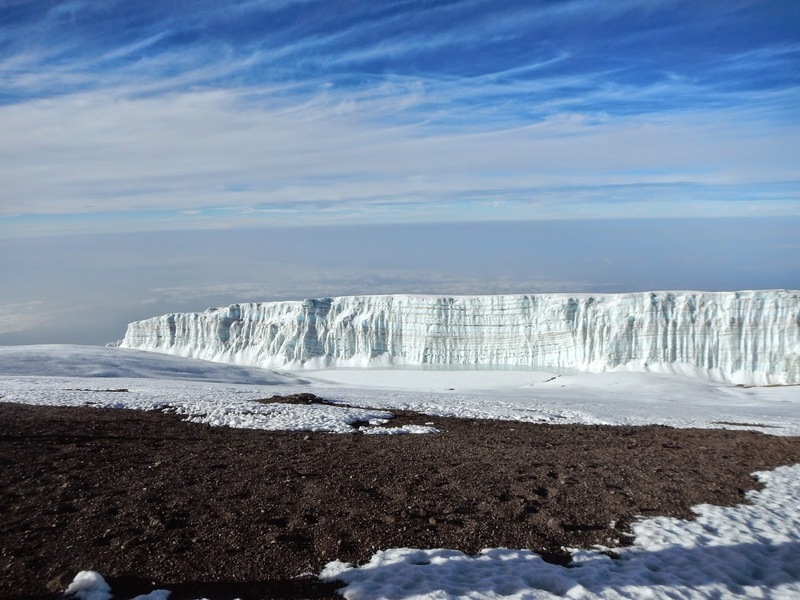 With a final, determined push to Uhuru Peak, we set off together, following the snow wreathed crater along the topmost ridge of Kilimanjaro. 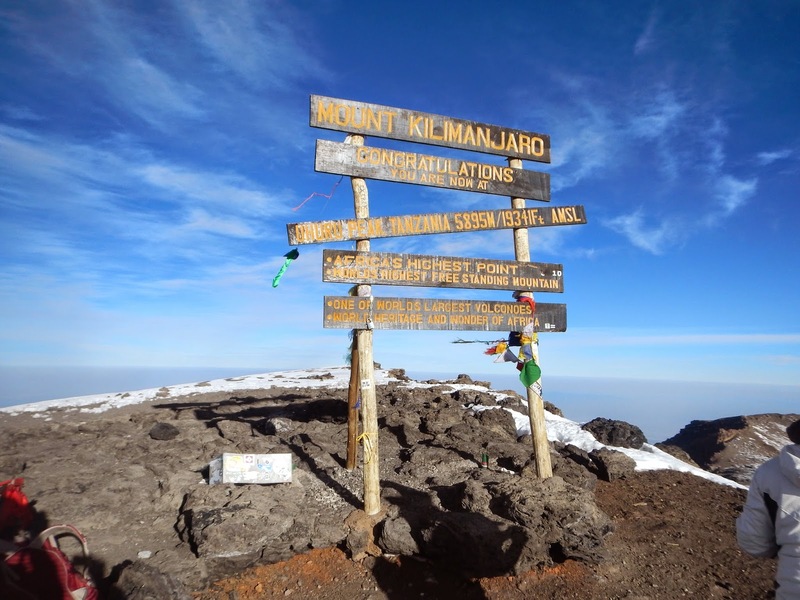 Within an hour, the sign marking Uhuru Peak bobs into view. My heart explodes with joy, ‘is this real?’ I wonder. I gaze at the sign and touch it, feeling a burst of happiness and an elated sense of revival. Seeing the sign felt like an elixir for the soul – a feeling I will not forget for a lifetime. We set off as 7, 4 made it to Uhuru, 2 to Stella Point and 1 had to descend due to breathing difficulties/a chest infection. 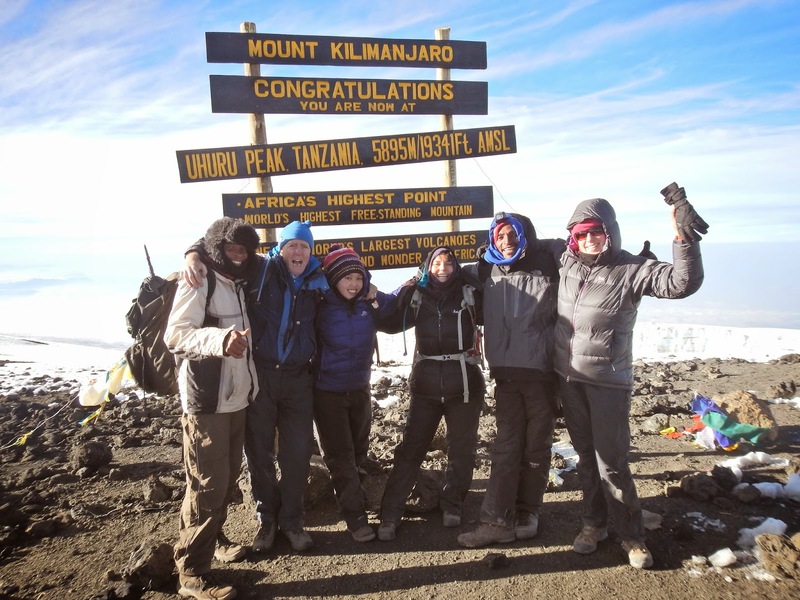 Summit reached on Friday 6th March 2015 at 7:30am. I wore: Top: x1 Icebreaker merino wool base layer, x1 fleece, x1 softshell, x1 Mountain Equipment down jacket. Bottoms: Icebreaker long johns, regular trekking trousers and a waterproof outer layer. Extremities: x2 gloves (1 regular pair, 1 warm mountain mitten), x1 snood, a fleece lined hat, x2 heavy weight trekking socks. Basically x4 layers on top and x3 on bottoms. I was skeptical when the guide recommended layer after layer but my top tip is to wear as much as you comfortably can. I used walking poles for trekking up to Stella point. 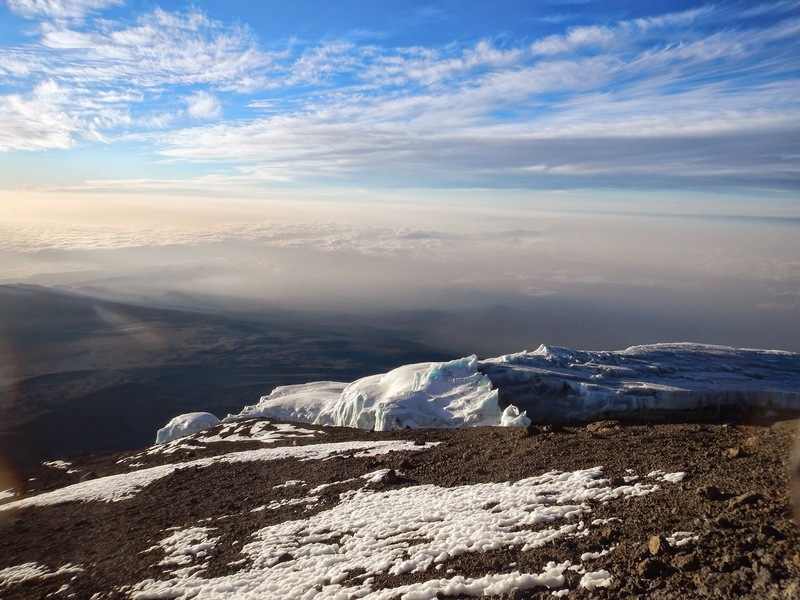 I left my poles from Stella Point to Uhuru but they were an absolute necessity for descending – I was extremely tired after reaching the summit and poles really helped for the descent. It wasn’t particularly cold when we set off at midnight, the temperature dropped in the middle of the night at approximately 3:00am, keep moving to stay warm. The guides restrict the breaks to just a few minutes to prevent us from feeling too cold. I found dextrose tablets invaluable during the trek. A burst of orange flavoured energy that was easy to chew on – the last thing I wanted to do was fumble with packaging or snack on anything that took too long to eat. Eating doesn’t cross your mind too much on summit day but it’s vital to snack little and often when you can. Fill your water bottles with warm water, liquids will freeze around Stella Point so drink regularly. I took painkillers before the trek as a preventative measure for headaches. I went on a Full Moon departure and for most of the walk, I did not use my headtorch. The guides are invaluable and an integral part for helping you reach the summit. 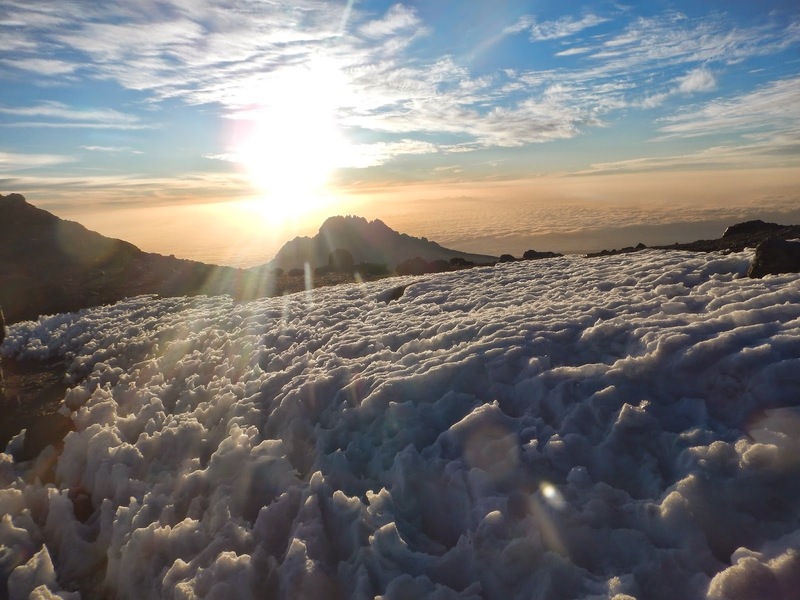 I would highly recommend Exodus, as the best Kilimanjaro operator out there. I didn’t get a wink of sleep before summit day due to nerves. Don’t worry, a lot of people don’t :). Breathing will be harder and altitude can/will affect your coordination and how you think, we only stayed on the summit for 15 minutes or so. If you have any further questions at all, please feel free to comment here or email me. A very good telling of the tale, and a very similar experience to mine! Watching the video clip brought it all back. Glad that you made it to the top. Great blog! 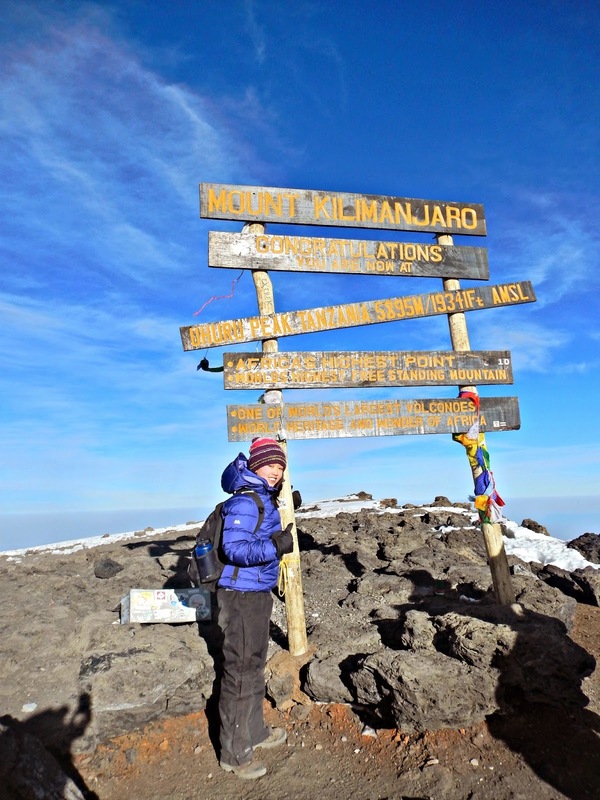 I especially enjoyed the summit day tips, which I hope will come in useful when I head to Kilimanjaro in September! Great blog! 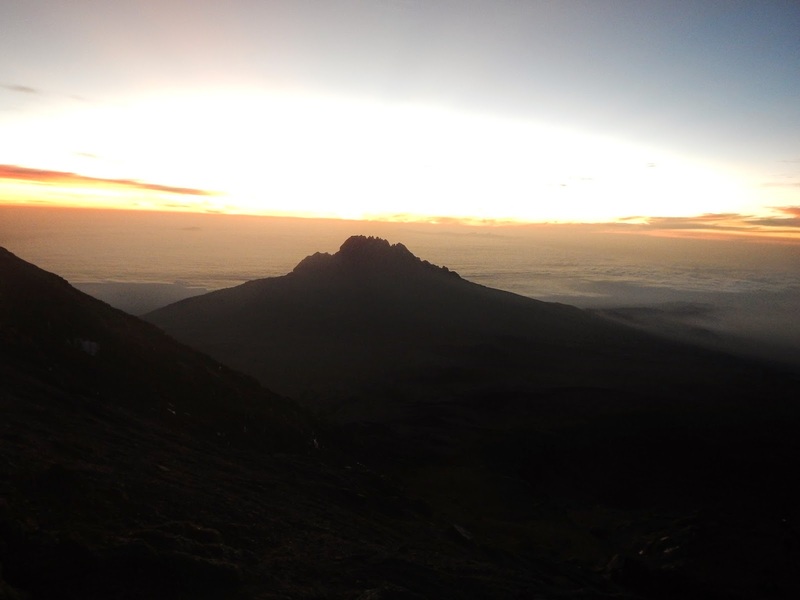 I especially enjoyed the summit night tips – this should come in useful when I head to Kilimanjaro in September!